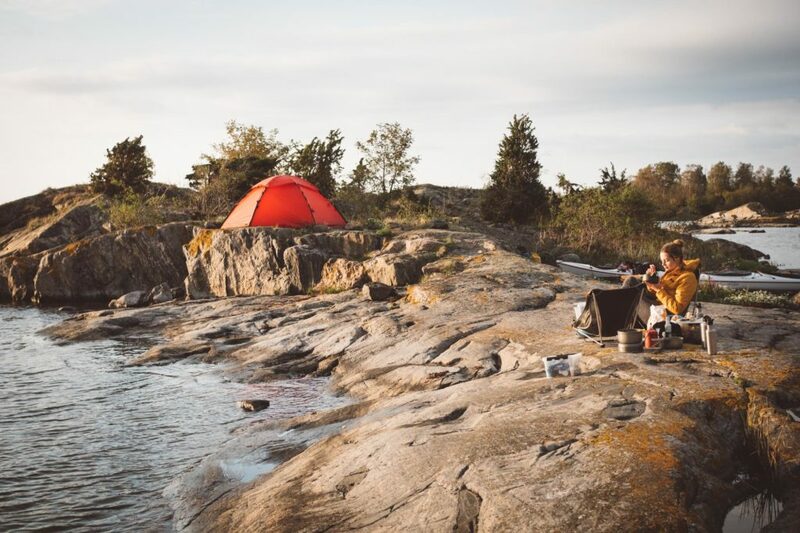 Nature & History of the Archipelago – Do the North – A Scandinavian Outdoor Adventure Company! The archipelagos of Scandinavia are completely shaped by the last ice age 12,000 years ago. A several kilometre thick ice sheet covered the whole area, subjecting the land to immense pressure from the weight, as well as horizontal forces as the sheet moved. When the ice thawed, erosion from melting ice-water shaped the landscape even further. All you gotta do to experience the powerful processes that formed this glacial landscape is to look around, they’re visible everywhere around you. For a comprehensive guide of specific islands to visit with interesting flora & fauna, geological history, historical remains and inhabited or abandoned cultural landscapes, check out Points of Interest! The bedrock in Saint Anna and Gryt consists of igneous rocks like granite and gneiss that were formed some 2 billion years ago, in some places primary limestone protrudes. Cracks in these primary rocks were later filled by younger darker types of rocks. The process of folding, cracking and weathering creates fascinating patterns and colours, especially visible in the middle and outer archipelago. In other words, the bedrock is incredibly old, but the landscape is relatively new. The present shape was formed by the massive ice sheet that moved across the area and smoothened the exposed rock. The ice contained large boulders that chiseled glacial striations into the smooth surfaces, and the ice also hollowed out the massive rifts found in the area. The flat rock surfaces are generally leaning towards northwest, in the direction the ice sheet was moving. On the southeast side there are often boulders and smaller rocks. An interesting phenomena that you can find in a few places are massive potholes or “kettle holes”, formed by whirlpools of melting ice-water and rocks. You can often see a round “pestle” rock at the very bottom of the hole. The enormous weight of the ice sheet also pressed down the entire land, and once thawed the land slowly began rising back up again, a process that is still ongoing to this day. Although faster in the beginning, the land still rises 2-3 mm per year. If you go back a few hundred years, there were many water passages far inland and between islands that are now dry land. As the land slowly rises, waves flush away any sediments and leave naked rock surfaces behind. The result over time is bare rocks in higher exposed locations, glacial debris (“moraine”) in the slants and fine sediment or mud in dips and hollows. The melting ice also had huge consequences for the Baltic sea. Read more under ‘Marine Life’. All you gotta do to experience the powerful processes that shaped this glacial landscape is to look around. They’re everywhere around you. There are a few places to explore that are extra interesting, for example Alnholm, where smooth winding dark bands of pyroxene rocks meanders between layers of white and red marble. There is also a large kettle hole here. This brackish environment with its variety of habitats is home to a very interesting fauna. A multitude of coastal birds species breed here, and the population of Grey seals is steadily growing. Saltwater, freshwater and migrating fish species live in the sea. There is an abundance of birds around the islands. The area is famous for its large number of White-tailed eagles and sighting them soaring high up in the sky is almost a given. They nest in sturdy trees that are hundreds of years old in the inner and middle parts of the archipelago, and cover vast areas while hunting for prey. Grey herons breed in colonies in tall trees in the inner archipelago and they too search for food far and wide all the way to the outer archipelago. Most notably, no less than 35 typical coastal birds breed on the barren islands in the middle and outer archipelago! It’s a bird lover’s paradise, especially earlier in the summer before many migrate south. You’ll find different types of ducks, geese, waders, auks and gulls. Some typical Baltic species are Velvet scoters, Ruddy turnstones and Razorbills, which breed in the protection of squawking colonies of gulls and terns. Spotting predatory birds like Ospreys, Great cormorants and Arctic skuas is a delight. 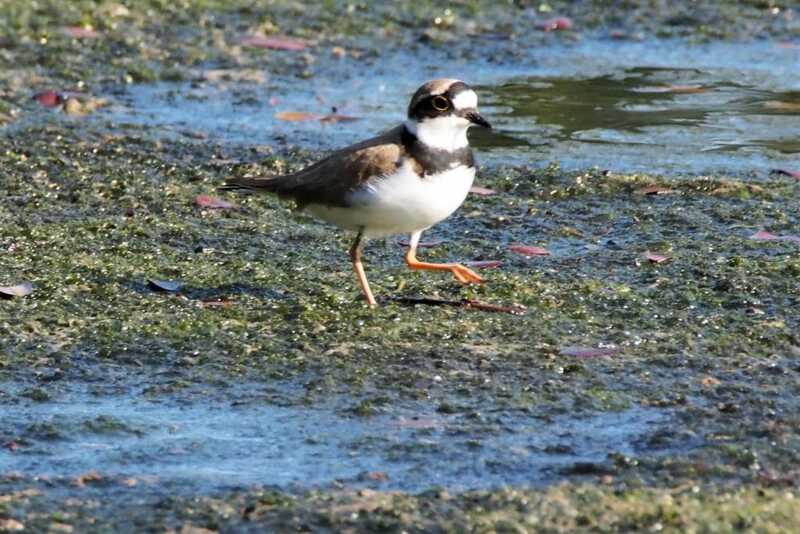 Some islands are protected bird sanctuaries during breeding season. Grey seals are a pretty common sight around Saint Anna & Gryt these days. They are large and impressive animals – males weigh around 300 kilos and measure 3 meters, females are somewhat smaller. The cubs are born at the edge of the ice around February-March. Adult animals can dive down to 100 meters and stay under the surface for up to 20 minutes! They mainly hunt for herring, but also catch perch, whitefish, salmon and cod. Grey seals grow old, up to 45 years. This makes them very sensitive to even very low levels of pollutants in their catch, as toxins build up in their fat layers over time. In the first half of the 1900s grey seals were very plentiful in the region. However, by the 1970s the species almost became extinct due to hunting and pollutants like PCB and DDT. 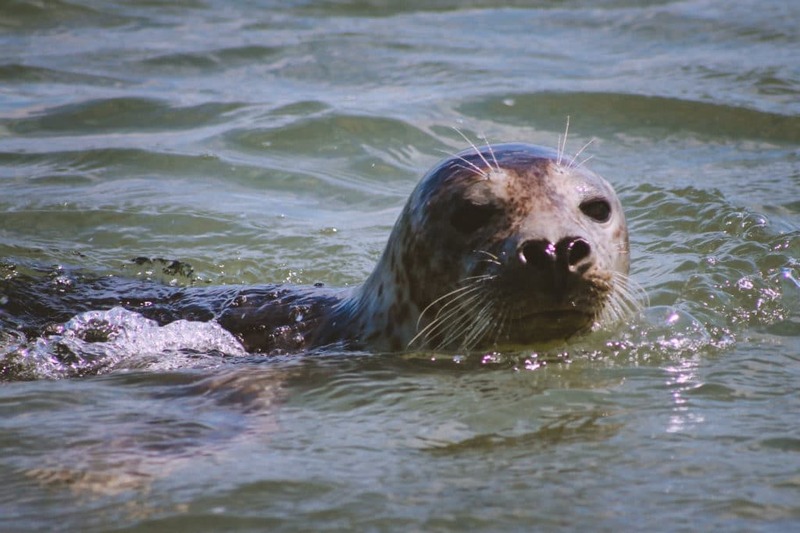 Levels have decreased dramatically every since the use of these and other toxins were prohibited, and although not as numerous as before, the population of grey seals has recovered significantly. There are a couple of seal sanctuaries far out to sea with year-round protection, and during bright early summer nights the islets are yet again filled with bobs of seals. The melancholy deep bellow of the large males can be heard from far away – invoking a magical, primeval feeling for those lucky enough to experience it. Disclaimer that the hunting of seals may sound brutal and distasteful to our modern ears, but it’s nevertheless an important part of the history of the islands. Seal battles around HarstenaIt was likely seals who brought the first settlers to the islands thousands of years ago. The animals have been hunted since then up until the 1970s, when the species became protected. During the first half of the 1900s the practice of hunting seals reached its peak, and the large “seal battles” near Harstena are remembered through stories and photos. Hundreds of seals would gather on the same islet, and the hunting crew would quietly get close, then storm ashore and club tens of seals to death before the large flock had time to escape into the water. Another hunting method was shooting seals in the water, and catching them with a hook before sinking. Further back, hunters practiced the ancient skill of harpooning. All parts of the seals were utilised. The island dwellers appreciated the fat meat, much like inuits and other people who live in rough conditions. The skin was used for boots or bags, a waterproof, warm and durable material. The blubber was rendered as far away from settlements as possible, as the stench was beyond repulsive, and used for lamp oil, lubricant and a substitute for linseed oil in the red paint that’s so characteristic for houses in the Swedish countryside. It’s well worth a visit to the Archipelago Museum in Tyrislöt and the old building for rendering blubber at Harstena to learn more about the history of hunting and fishing in the area. When the massive ice sheet started thawing 10,000 years ago, what is now the Baltic sea became a large lake of melting ice water with no outlet to the Atlantic. Over time, the water level rose quicker than the land and the water finally broke through between Sweden and Denmark, resulting in a brackish Baltic sea. Compared to saltwater seas, relatively few species are specialised to survive in this brackish “neither nor” environment. The archipelagoes on the east coast of Sweden are a meeting place for the most perseverant species from both saltwater and fresh water. Around 80 species that are visible to the naked eye live in the waters around Saint Anna & Gryt. The fish fauna in Sweden has a short history since all of Scandinavia was covered with ice as recent as 12,000 years ago. 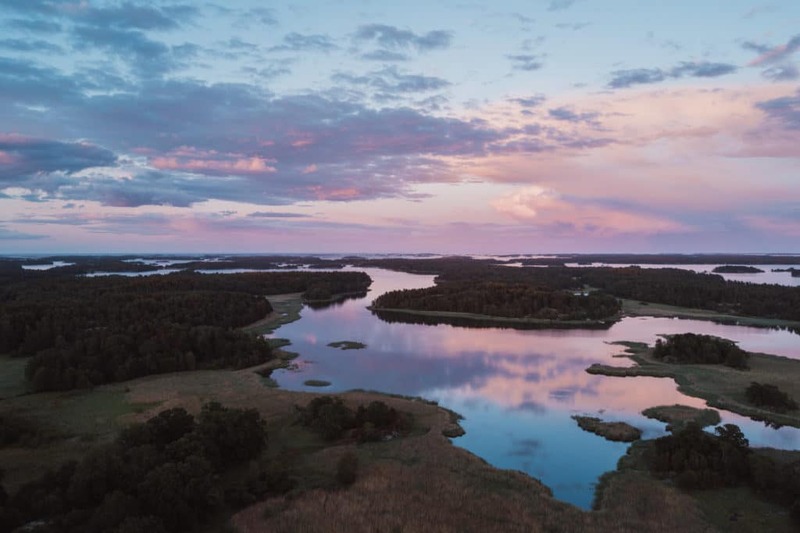 The Baltic sea is home to typical fresh water species (pike, perch, zander and roach), salt water species (herring, cod, turbot), migrating species (salmon, trout, eel) as well as glacial relics (fourhorn sculpin). Presumably, both freshwater and saltwater species have developed genetic adaptations in order to live in the brackish water. Not surprisingly, typical saltwater fish live in the outer archipelago and freshwater fish live closer to the coast. Perch and pike are very faithful to their local area and often spend their whole lives in the same creek, only a few kilometres from where they spawned. Many species of fish are declining and some are even endangered. Spring fishing for pike is not sustainable and has been limited to three fish per person. Eels are on the seafood red list. There are however some fishermen in the area that have ‘grandfathered in” fishing rights for eel. We strongly encourage you to only buy sustainable fish from the local fisheries. Other endangered species are cod, burbot and eelspout.The absence of predatory fish can have huge effects on the balance of the ecosystem. While predatory fish are declining, species that live off zooplankton, for example herring and sprat, are increasing. This leads to a decrease in zooplankton, and the decline in juvenile pike and perch may be caused by a lack of this important food source. Fewer zooplankton mean more phytoplankton, which leads to cloudier water. Commercial fishing has no doubt had a large effect on the cod population, but these fish have also had difficulty reproducing due to lack of oxygen. Over-fertilisation, caused by agriculture and pollutants, results in decreased levels of oxygen. Migrating fish that swim up rivers to spawn, are met by obstacles such as hydropower plants and dams. There are many ongoing projects in the region aiming to improve the Baltic environment. 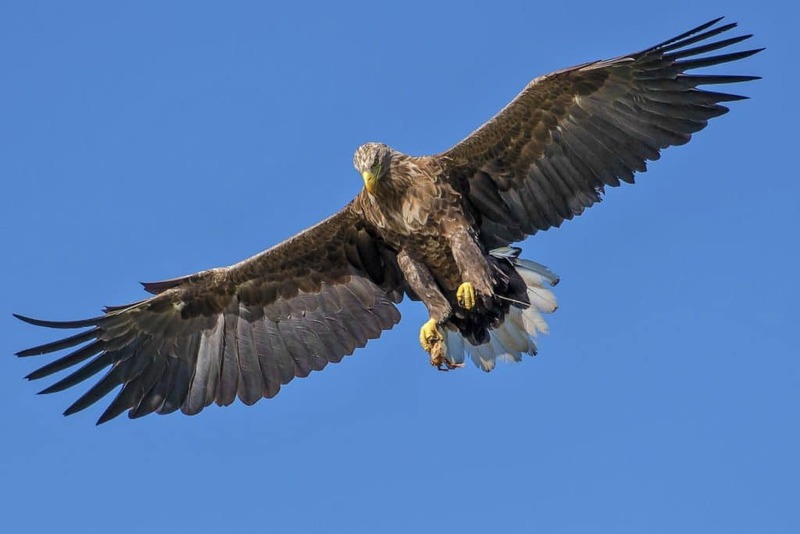 Stricter regulations in regards to pollutants and agriculture have lead to large improvements that are easy to spot higher up in the food chain, for example in the recovering populations of eagles and seals (both almost extinct in the 70s). Migrating routes are opened up so trout and salmon can bypass plants and dams. Commercial fishing, which used to be an important industry here, is almost non-existent these days. The few local fishermen catch sustainable amounts of fish and sell locally. Furthest down the food chain are phytoplankton, for example cyanobacterias. Most are microscopically small, and they play a very important role for producing oxygen and constitute the main diet for zooplankton. In their turn, zooplankton are food for herrings, sprats and juvenile predatory fish like cod. The rocky bottoms of the shallow sea are home to most of the marine species, and are dominated by bladder wrack and blue mussels. Green algae grow from the surface down to about half a meter, and then large forests of bladder wrack take over down to about 4 meters. Many creepy-crawlies and small fish spend their whole lives here, and they act as a “nursery” for larger fish. Below the bladder wrack, a dense band of blue mussels grow down to 25 meters. They thrive in the Baltic, since many of their traditional predators, like crabs and star fish, can’t live in the brackish water. Mussels are a source of food for flatfish, eelspout and other fish, as well as eiders and other birds. Blue mussels also play another very important role in this ecosystem. They purify sea water from nitrogen and phosphor, and in one year the Baltic mussels filter the entire water mass of the Baltic! In places where waves and currents aren’t strong enough to move sediments, we find soft bottoms of sand and mud. All deeper bottoms are soft and lack vegetation, but have a rich fauna of other types of mussels, marine worms and small crustaceans. In shallow waters, soft bottoms are prevalent in sheltered areas like bays or narrow passages between islands. This biotope is very important to marine life as it offers a calm environment, and warm water where sunlight can reach all the way to the bottom. Large populations of for example eel grass and pondweed grow here, and the bottom vegetation is ideal for spawning and juveniles of herring, pike, perch, eel and flatfish. Also adult fish come here to feed, for example trout and cod. The Saint Anna and Gryt archipelagoes have a rich cultural heritage. Although sparsely populated these days, the landscape still bare many signs of human activity all the way back to pre-historic times. From the very beginning settlers out here lived off fishing, hunting and farming. The area experienced its heyday in the 1800s when the population was at an all-time high. There was a flurry of activity around the islands, and this is when a lot of the houses that still remain were built. There were stores, schools, all kinds of tradesmen, and the first guesthouses for city dwellers who wished to escape to the clean air and beauty of the coast. Between the 1920s and 1950s, almost all residents joined the rest of the Swedish countryside in packing up their few belongings and moving to the cities. Today only around 800 people live permanently on the islands and by the coast. Many still live off fishing and farming, but these days tourism also plays an important role. 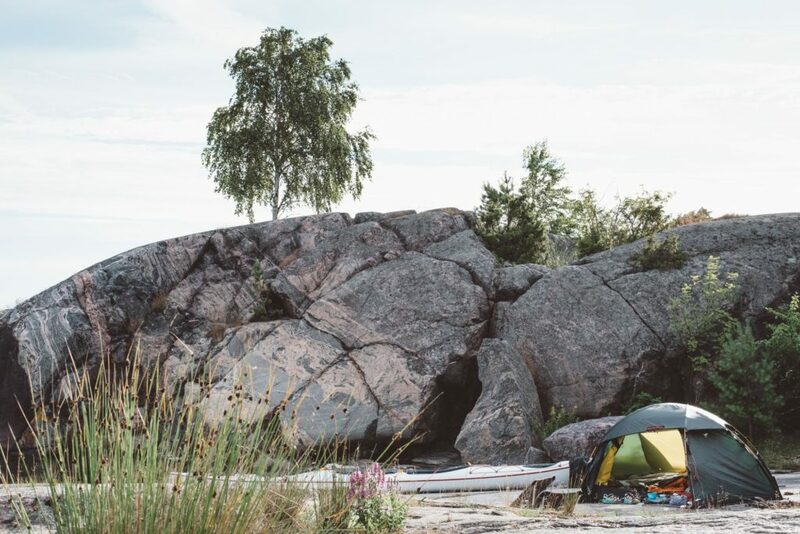 Everything out here is small-scale family operations, and the archipelago is yet again coming alive with little cafes, restaurants and country stores. Likely, the area was used for fishing and hunting as far back as six thousand years ago. Stone age people poled and paddled through the waterways in rough canoes made from oak logs. The entire outer archipelago was submerged back then and large parts of what today is the mainland was covered with water. It is likely that the oldest settlements were located on hills inland, and the inhabitants undertook hunting and fishing expeditions to the islands in the summer time. They spent the night in makeshift camps – stone foundations with stretched out sails across. 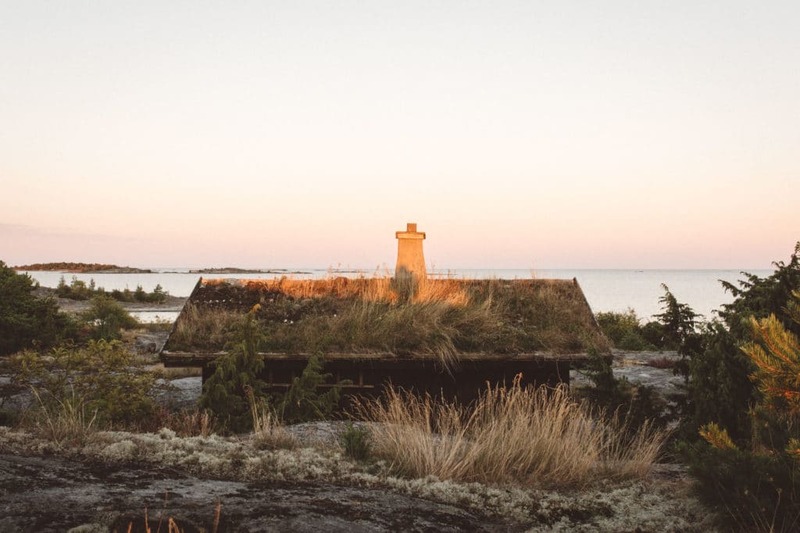 Stone remains can be found on the fishing islets outside Aspöja, Kallsö and Kråkmarö. We don’t know exactly when residents began living permanently on the islands, but it’s certain that it was long before the first written record occurs in 1542. The oldest remains that indicate that the islands were settled, at least part of the year, are from the Bronze Age (1800-500 BC). Burial mounds can be found on for example Väggö and Harstena. For hundreds of years, all through the Middle Ages, inhabitants lived off fishing, raising livestock and hunting birds and seals. Cattle and sheep were moved from islet to islet to graze. This practice is still used to this day by the few farmers on the islands. Since the water level was higher, it was possible to row to the large markets all the way in Linköping to sell cod, eel, pike, perch, salted hearing and dried fish. The fishermen frequently rowed to the closest markets in Söderköping and Norrköping.Another important source of income was steering cargo ships through the difficult waters. Residents would row out to anchoring ships and offer their services. They had to be very skilled to navigate the shallow waters and the work was risky. According to old charters, causing the ship to run aground was penalised by death! After centuries of very hard living conditions, easier times ensued from the beginning of the 1800s. It’s said that the reason was long-lived peace and the introduction of vaccines and potatoes. The closest cities were flourishing, which opened up new markets for the island dwellers. There was an almost insatiable appetite for fish, coastal birds, firewood, livestock and crops. During this time the population on the islands grew quickly, and peaked in the 1870s. Lots of new ground was broken as larger areas were used for cultivating crops, and the trees were shipped off and sold as firewood. In the process many stone fences were built. 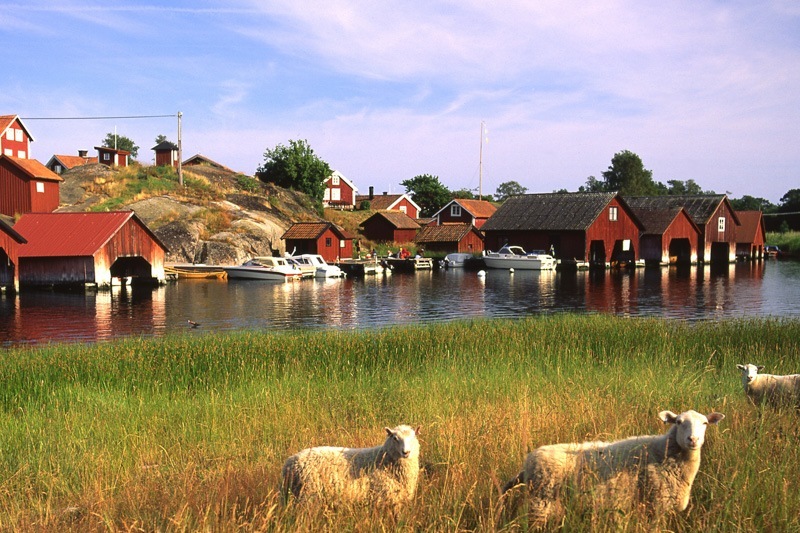 You can find them on some islands in the middle and inner parts of the archipelago, for example on Styrsö. Mementos of the laborious process involved in farming in this rocky churlish environment. In the middle of the 1800s it became lawful to conduct trade outside the cities, and quickly around a dozen stores popped up on the islands. They sold all kinds of goods including fabric, tools, paint, fuel and much more. These establishments acted almost as small banks, since they sold their goods on credit and were paid only once or twice a year. Much like micro-loans of today, it facilitated entrepreneurialism in a major way. All trades involved in construction were booming, and many of the houses that are used today were built during this period. There were also dairies and mills, shoemakers, seamstresses and watch makers. A few guest houses also opened at this time, making it possible for city dwellers to enjoy the beauty, fresh air and water of the coastal countryside. Indeed, that’s probably the part of Saint Anna’s history that we can all best relate to. From the 1920s to the 1950s, the landscape changed significantly, as many inhabitants joined the rest of Sweden in moving from the countryside to the cities. Houses were abandoned or sold, schools and stores shut down. These days, what remains of the lands where the island farmers used to toil, are stone mounds and fences, trees pruned characteristically to allow winter fodder for animals, grown over fields and old apple trees or other domesticated plants that now survives in the wild. Still in use are some oak covered grazing fields for cattle and sheep, which is of great importance for biodiversity as it prevents grasses and shrubs from taking over. And some of the old buildings remain of course, most of them used as summer homes. Saint Anna & Gryt are quite unique for Swedish archipelagos in being very restrictive with building permits and new construction. Thanks to this, although sparsely populated these days, the islands that do have dwellings exude a feeling of a time long gone. The best place to experience it is Harstena Village – strolling around the beautiful island is truly like travelling back in time. 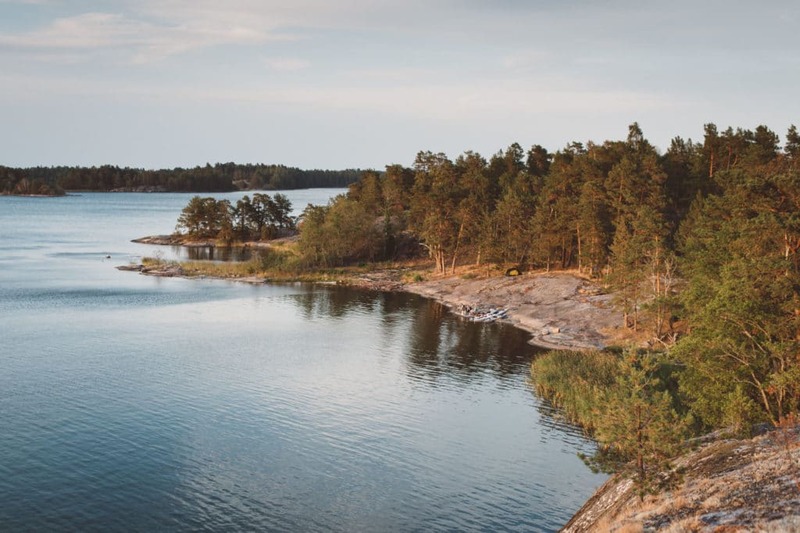 The biotopes of the archipelago vary a lot due to several factors – the limited access to top soil, the hilly terrain, varying exposure to wind and water, and different degrees of human influence. The islands are often a mosaic of different habitats, which produces an impressive level of biodiversity. Primeval pine trees that are hundreds of years old grow on many islands. These are very important for several birds of prey, which use the sturdy trees for their extremely heavy nests. On wind-pined islands the trees are short, knotty and twisted. There are also deciduous forests, often marked by grazing, which has created open glades with a unique flora. Another habitat dependent on grazing animals is sea meadows with a lush vegetation of salt-resistant plants. Small islets in the outer archipelago, where bird colonies nest, have a surprisingly diverse flora thanks to nitrogen-rich bird droppings. Cultural landscapes, often abandoned these days, are lands used for centuries by the island dwellers. Left behind are meadows, grown-over fields and wild remains from apple trees, hazel and roses. The most common habitat of the archipelago, these forests are found in the highest regions of the inner and middle archipelago islands. These pines appear knotty and short, and when exposed to strong winds also twisted. They are rooted in crevices where the roots can grow deep. There is a thin layer of top soil on the rocks where mosses, lichens, lingonberries and heather grow. In places with deeper well-drained soil, the pine trees can grow tall, thick and very old. These pine forests, where the soil is deeper, feature lots of fallen trees, which is very valuable for many endangered lichens, mushrooms and insects. It’s unusual for pine trees to be left alone to die, fall and decompose naturally. The breakdown is very slow and species adapted to this way of life are either gone altogether or very rare. These oak and linden dominated forests are found in the inner archipelago. Oak trees often grow in open environments marked by grazing. The thick trees are important for lichens, tree-growing mushrooms and insects. Linden grow in closed groves, often where open meadows used to be. The flora is rich with Ramps, Liverwort, Coral root, True lover’s knot, and the orchid Eggleaf Twayblade. Many linden trees show traces of a characteristic way of pruning, that allows for winter fodder for livestock. On the border between the middle and outer parts of the archipelago, there is a long band of islets with short birch trees. The most characteristic “birch islets” are located in northern Saint Anna, where birch-clad bogs with bunchberries and crowberries are interchanged with barren rocky outcrops. Many islands in the archipelago have been influenced by human activity for a very long time. Only the barren little islets in the outer archipelago are completely unaffected. For centuries, fishing, hunting and raising livestock was how the island dwellers survived. . Growing crops on the islands became more prevalent in the 1800s, and many small fields were established in valleys or hallows. Most of these were abandoned decades ago, but there are still a few farmers on the islands. Sheep and cattle were shipped from islet to islet to graze, and this practice is still used today, although at a much smaller scale than in the past. Grazing is very important for the biodiversity of the area, as it provides for a rich meadow flora instead of shrubs and grasses taking over. The Elder-flowered orchid is typical along with other flowers that thrive in sunny warm environments, e.g. Daisy, Bellflower, Knapweed, Rock-rose, Dropwort, Milkwort, Cow-wheat, Butterfly orchid and Bloody geranium.There are many remains from the island farmers, most notably stone fences and mounds, pruned linden trees and once domesticated plants and trees that now survive in the wild. It’s not unusual to find wild apple trees, roses and currants. Read a lot more under ‘The People’s History of the Islands’. These meadows by sheltered and shallow creeks are dominated by salt-resistant plants and grasses. Most of the species that live here are dependant on continuous grazing or scything. Some typical plants are Sea sandwort, Seaside arrow grass, Seaside centaury, Sea plantain and Sea milk-wort. Many birds breed in this environment, for example Redshank, Peewit and Yellow wagtail. Sea meadows are also a popular resting spot for migratory birds. Many islands have rocky beaches that are very much effected by wind and waves. A lot of characteristic archipelago plants are found here, e.g. Sea aster, Woad and Longleaf speedwell. Nutrient-rich washed-up seaweed benefit Valerian, Silverweed and Angelica. Typical for this environment are rock pools, small collections of water among the rocks with no outlet. Here you may find Water-starwort and Gypsywort. Sandy beaches are very rare in these archipelagoes.Furthest out to sea is the outer archipelago with its many small, barren islets that are heavily influenced by the sea. Many coastal birds breed out here, e.g. gulls & terns, and waders like Ruddy turnstone and Redshanks. 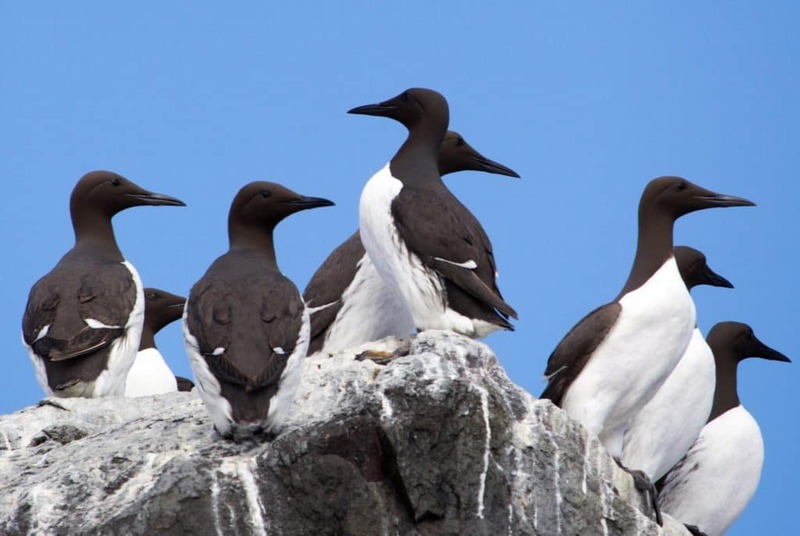 Rarer species are Black guillemot, Razorbill and Arctic skua. There is a special habitat out here, lacking in soil but rich in nitrogen thanks copious amounts of bird droppings. 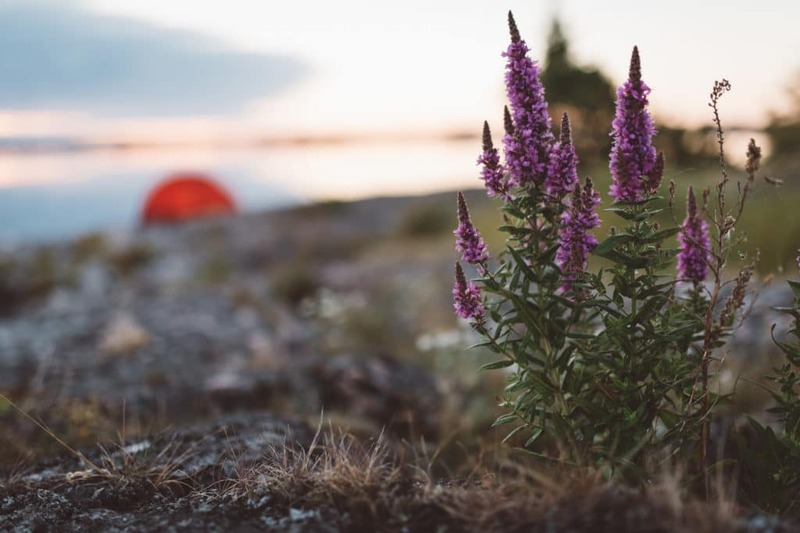 Common plant species are Wild chives, Sedum, Orpine, Purple loosestrife, Wild pansy and White sticky catch-fly.